Yiddish adjective ליטוויש (litvish) means Lithuanian. Litvak concept comes from Polish and describes a man from Lithuania, to put it simple – Lithuanian jew. In this case Lithuania includes all territories of Grand Duchy of Lithuania. This Yiddish dialect was spoken in nowadays Lithuania, Belarus, Latvia, Estonia and North East Poland, including Suwalki, Lomza, Bialystok. A bit minor piece about a dance, called Kadril, is a mix of Jewish song and French rap. Monkey Theorem band member MC Kasper, coming from Grenoble, spiced Jewish song with an exceptional and contemporary French poetry. Kadril also includes a fragment of Lithuanian Jewish woman voice – archive sound record made in the beginning of the XXth century. 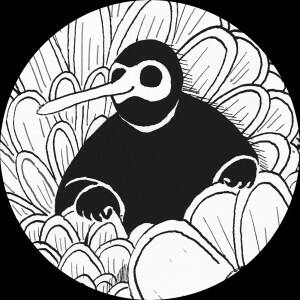 You can also find Kadril version remixed by Belgian duo Lazarus Soundsystem. For the first time in Baltic Balkan history, video was made for Kadril. From the first sight, the story directed by Asta Ostrovskaya and shot by Robert Muravskij, might seem abstract, mystical, surrealistic and even comical, but there are more layers hidden. Obliteration of identity and culture, temporary nature and extinction in modern world are discussed. “What was real and true yesterday, what was improtant and justified, might lose sight today. Screwed by routine, we forget that we might lose everything, we have today, and all of this is very fragile. 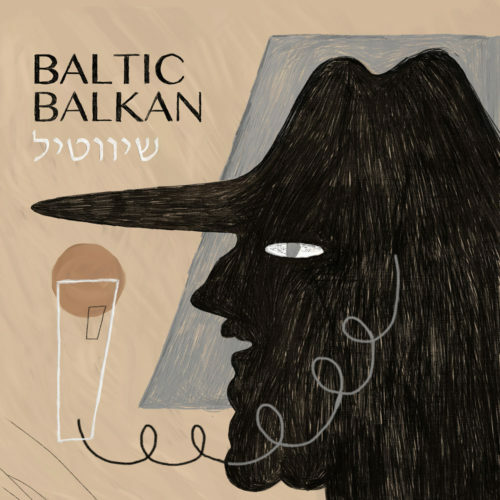 Because this song is Jewish, the whole idea makes even deeper sense”, – Baltic Balkan says. The plot of the video is happening in a flat full of already historical details, reflecting different eras and trends. Decks of cards, plastic flowers, crystal glasses,woven carpets, antique photos on the walls are only few minutiaes, which turn into ashes in three minutes. Picture of Pychka, unforgettable talisman of Baltic Balkan, escorting whenever wherever they go, also got an important role in the video. Cooperation with French DJ Click started long time ago and resulted with Happy Jew Dub piece. DJ Click is famous for his digital folk, worldtronica, electro gypsy performances and his radio show at Ferarock, visited by the most famous Balkan music masters. No Frigde label, founded by DJ Click himself, released a popular compilation album Labesse and fiery gipsy music opus Boum Ba Clash with Rona Hartner on vocals. Recently close Baltic Balkan friend released two samplers “Click Here”, dedicated to North African and Asian music, also cooperated with such as Mali musician Issa Bagayogo, Brazilians Zuko 103 and DJ Dolores Gnawa Njoum Essaouira from Morocco and others. Žydų fokstrotas (Jewish Foxtrot in Lithuanian) is a joint version by Lithuanian composer Marius Salynas and Baltic Balkan. The original was created by Moishe Hofmekler of a Jewish origin, who lived in Lithuania in interwar period. His orchestra was one of the most professional and reputable in these days’ Kaunas. M. Hofmekler spoke Lithuanian and encouraged Lithuanian composers to create their own music. He collaborated with Daniel Brojdes-Dolskiy and others.